Costumes from Hindeloopen. Dutch province Zeeland. 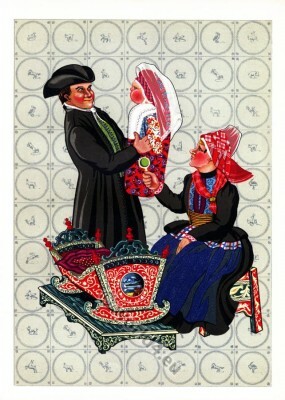 Traditional Holland costumes from Hindeloopen. Dutch province Zeeland. By Gratiane de Gardilanne and Elizabeth Whitney Moffatt; Published London 1912.